Anneliese can go to heaven or continue suffering so that others may know that God exists. Anneliese Michel was born in 1952 at Leiblfing, a small village in Bavaria, Germany. She was raised in the small Bavarian town of Klingenberg am Main. Her parents were devout Catholics and she grew into a deeply religious person. In 1968, when she was 17 and still in high school, Anneliese began to suffer from convulsions and seizures. Soon, Anneliese started experiencing devilish hallucinations while praying. She also began to hear voices, which told her that "she was damned", and was diagnosed as epileptic at the Psychiatric Clinic in Würzburg. Long-term medical treatment proved unsuccessful; her condition worsened with time. Anneliese became intolerant of sacred places and objects, such as the crucifix, which she attributed to her own demonic possession. 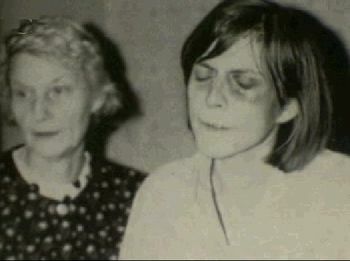 In June 1970 Anneliese suffered a third seizure at the psychiatric hospital. But it did not bring any immediate alleviation of Anneliese's symptoms; she also continued to talk of "devil faces" seen by her on varying times of the day. Anneliese began to see the faces of demons on the people and things around her. Growing increasingly adamant that her illness was of a spiritual kind, she appealed to the Church to perform an exorcism on her. But it was denied by the Church. In 1969, a neurologist at the Psychiatric Clinic Würzburg diagnosed her with Grand Mal epilepsy. In 1975, convinced that she was possessed, her parents gave up on the doctors from the psychiatric clinic. They chose to rely solely on the exorcisms for healing. The first unofficial diagnosis was made by an older woman who accompanied Anneliese on a pilgrimage. She noticed that Anneliese avoided walking past a particular image of Jesus, and that she refused to drink water from a holy spring. The woman also claimed that Anneliese smelled hellishly bad. Ernst Alt, a Priest from a nearby town examined Anneliese and concluded that she was demonically possessed. After two failed requests, the rite of exorcism was finally granted by the Bishop. 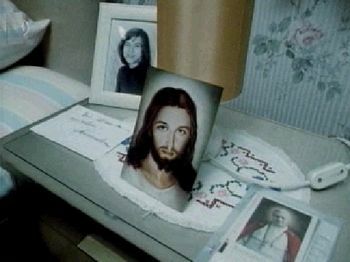 Father Arnold Renz and Pastor Ernst Alt were assigned to carry out "The Great Exorcism" on Anneliese Michel, approved by the bishop of Würzburg, Josef Stangl, in September 1975. The foundation for this ritual was the "Rituale Romanum", which at the time, was still a valid 17th century Cannon Law. They carried out 67 rites of exorcism over a period of 10 months, with one or two exorcism sessions held each week. Some sessions lasted up to four hours. 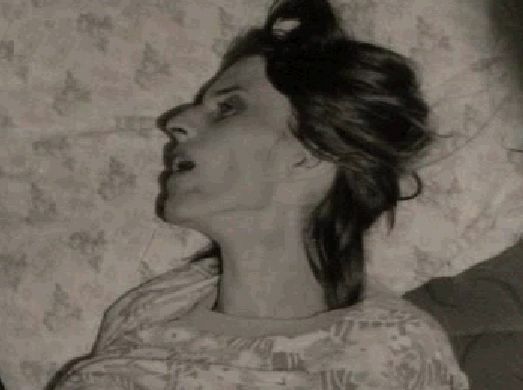 Anneliese's symptoms were strange: the temporary adoption of bizarre, rigid body postures (dystonia); the use of the first-person plural pronoun 'we' to describe one's self; the markedly dilated pupils not explained by any external stimuli; full or partial amnesia; the emergence of distinct personalities among the demons and spirits; the pervasive psychoemotional numbness (desensitization); Michel's feeling as though her body was acting outside her volition (depersonalization); fear or rejection of sexuality; unaccountable fits and seizures; temporary paralysis; emission of overpowering noxious odors; uncanny screams; and the loss of self-control and invasion of the mind and body by demons and spirits. Is notable the persistence of these symptoms despite medical treatment, and in absence of any known medical cause. Anneliese was convinced that she had been possessed by several demons, including Lucifer, Judas Iscariot, Nero, Cain, Hitler, and Fleischmann, a witch from the 16th century. She also mentioned a few other damned souls who had manifested themselves through her. Over time, the ligaments in her knees ruptured due to the 600 genuflections that she performed obsessively during each exorcism session. 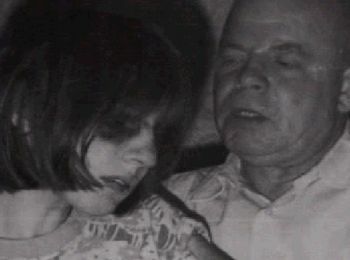 On June 30, 1976, during her last rite of exorcism before her death, too weak and emaciated to perform the genuflections on her own, Anneliese's parents stood and helped carry her through the motions. Around Easter time of the year that she died, Anneliese began to refuse food and drink. Her convulsions returned with a greater ferocity. 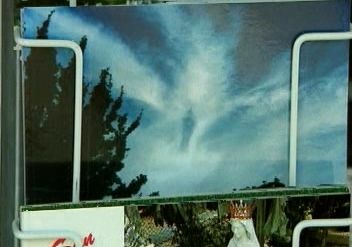 In a lucid moment claimed to have seen a vision of the Virgin Mary. The Virgin's message to Anneliese is that she can go to heaven straight away, or continue suffering so that others may know, through the demons, that God exists. Anneliese decided to go on suffering. "I know that we did the right thing because I saw the sign of Christ in her hands. She was bearing stigmata and that was a sign from God that we should exorcise the demons. She died to save other lost souls, to atone for their sins." Said Anna Michel, Anneliese's mother, in 2005. She forced herself to fast because she believed that it would rid her of Satan's influence. At the time of her death, she weighed only 68 lbs. Prior to her death, she had spoke of dying to atone for the sins of the wayward youth and apostate priests of the modern church. She spoke her last known words on the day before she died. She told her exorcists "Beg for Absolution". To her mother Anna, she said, "Mother, I'm afraid." 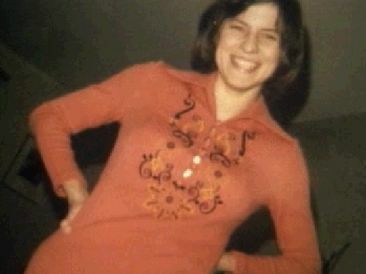 On July 1, 1976 Anneliese Michel died in her sleep. She had predicted that she would be liberated from the demons on this day. At midnight, Anneliese ceased her raging. Exhausted but peaceful, she finally went to sleep and never woke up. 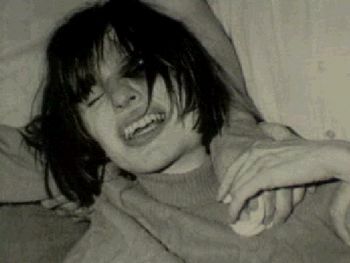 According to the autopsy, on July 1, 1976 Anneliese Michel succumbed to the effects of severe dehydration and malnourishment. At the time of her death, she was also suffering from Pneumonia and a high fever. 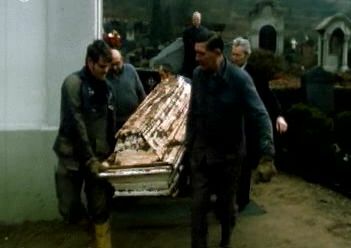 On February 25, 1978, almost two years after her death, the deceased body of Anneliese Michel was dug up and moved to a new oak-coffin lined with tin. Her parents' desire to move her from the cheap coffin in which she was buried was allegedly used as an excuse to exhume her body. Instead, they were acting on a message received from a Carmelite nun from the district of Allgaeu in southern Bavaria. The nun had told the parents that she had a vision that their daughter's body was still intact. Official reports state that the body showed consistent deterioration. 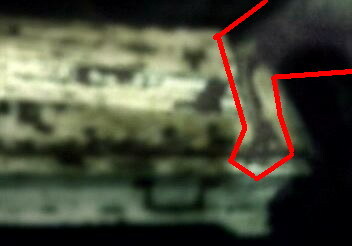 Photos of the exhumed body were never released, and Anneliese's parents were prohibited from witnessing the exhumation. After an investigation the state prosecutor maintained Anneliese's death could have been prevented even one week before she died. He charged all four defendants - Pastor Ernst Alt and Father Arnold Renz as well as the parents - with negligent homicide for failing to call a medical doctor. Both priests presented their deeply held conviction that she was possessed, and that she was finally freed by exorcism just before she died. Father Arnold Renz, Pastor Ernst Alt, and Anneliese Michel's parents, Josef and Anna. All four were found guilty of negligent homicide and sentenced to six months in prison, suspended with three years' probation. Today, Anneliese's grave in Klingenberg am Main remains a place of pilgrimage for many Catholics who consider Anneliese Michel a devout believer who experienced extreme sufferings to assist departed souls in Purgatory.